Yes. 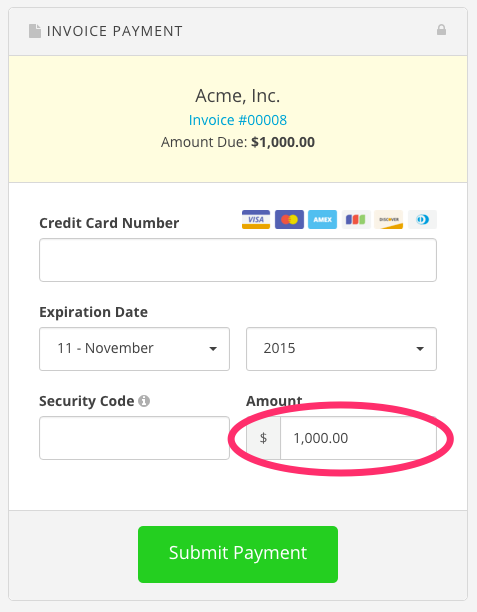 If you allow your client to pay their invoice online they’ll have the option to pay your invoice in full, or they can alternately type in a partial payment using the invoice payment form. A partial payment on an invoice will give that invoice a status of Partial in your Harpoon account until the invoice has been paid in full, at which point the invoice’s status will change to Paid.